The Baltimore Ecosystem Study: Urban heterogeneity as driver and outcome – Milieu de la Moda, Inc.
Last week the Baltimore Ecosystem Study (BES) had its spring meeting. Discussion focused on the theory of urban heterogeneity. 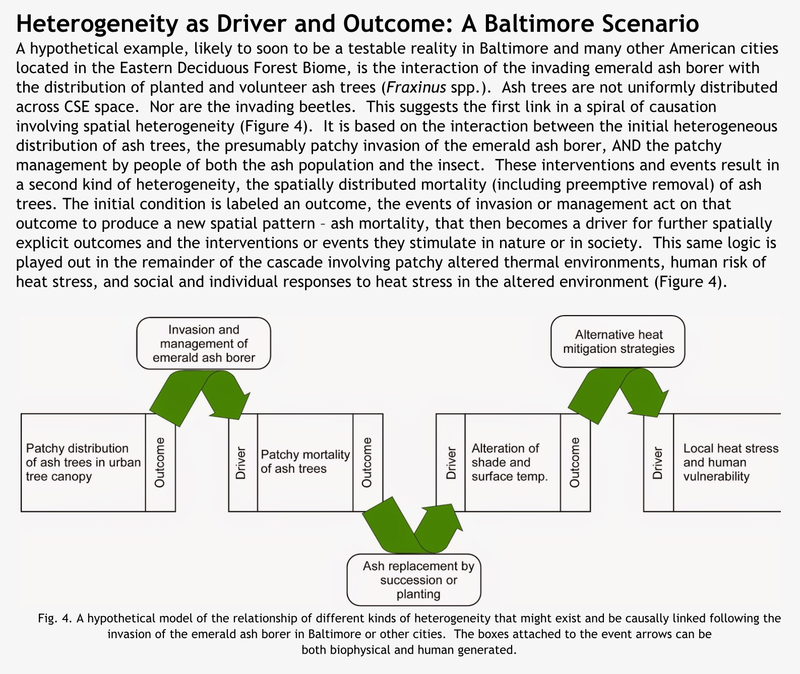 If that sounds like it may be confusing, we got a great example (shown below) of how the patchy distribution of ash trees in Baltimore and the patchy invasion of emerald ash borer may cause unequally distributed health problems to vulnerable populations based on loss of tree canopy and elevated urban heat island effects.